The Innovative Curriculum at S R Engineering College (SREC) offers intensive focused study so that you can enter your dream career with the skills and knowledge you need. As a student of SREC, you’ll use innovative processes to solve problems creatively, and determine solutions for a better future. By studying engineering at SREC, you’ll graduate with a bachelor’s or a master’s degree that will enable you to enter the engineering profession at an advanced level with a professionally recognised qualification and the ideal combination of technical, analytical, entrepreneurial and interpersonal skills. Center for Student Services and Placements (CSSP) @ SREC plays a vital role in networking graduating students with industry. It prepares students for the process of recruitment and simultaneously creates awareness among companies about the recruitment opportunities at SREC. 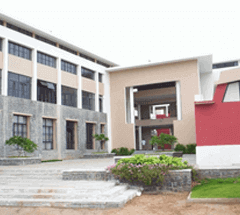 S R Engineering College has been consistently topping in the list of campus placement records among private institutions in Telagana. Graduates and postgraduates of SREC are highly regarded by employers from industry. The CGC supports the students in identifying their interests, strengths and planning appropriately to justify their professional needs. The cell conducts a survey on the interests of the students and guides them according to their interest in Placements/Higher studies/Competitive exams/starting their enterprise. The CGC provides information related to top universities in India and abroad & helps students to opt for a good university to pursue their higher studies. Psychometric tests by companies like AMCAT, Cocubes etc. Mentoring students from rural background so as to upscale them to the industry requirements. SREC is the NETRA (National ESDM Technology Research Academy) Partner, which has a vision of making India the ESDM (Electronics System Design & Manufacturing) product innovation hub. SREC is an Institutional member with TiE, Hyderabad Chapter. The Indus Entrepreneurs (TiE), was founded in 1992 in Silicon Valley by a group of successful entrepreneurs, corporate executives, and senior professionals with roots in the Indus region. TiE is the largest non-profit organization and has amazing networking effect. TiE connects the entire entrepreneurship ecosystem from early stage entrepreneurs, serial entrepreneurs, professionals at leading corporations, venture capital, angel investors, thought leaders among others. The organization emphasizes the spirit of giving in all aspects of their work. SR Engineering College has signed MOU with National Entrepreneurship Network (NEN) to share curricular & non-curricular aspects of entrepreneurship education. National Entrepreneurship Network (NEN) inspires, educates, skills and supports student entrepreneurs, startups and SMEs for creating high-value jobs in India, Indonesia, Malaysia, Philippines, East Africa and Latin America, operating in association with governments, corporates, mentors, investors and educational institutes. NEN Student Entrepreneurship Programs integrate the curricular & non-curricular aspects of entrepreneurship education in a structured manner. NEN Entrepreneurship Support Programs are delivered through city-based entrepreneurial ecosystems consisting of expert resources (investors, mentors, incubators, educators & coaches), and focused on key areas that positively impact startups and SMEs. Many Industries and start-ups provide internship opportunities to our students in the summer break and their final semester. The interns are thus exposed to the latest technologies and also get a feel of the corporate working culture.